Seattle Opera's Young Artists Program is rehearsing for its upcoming production of Don Giovanni, which opens on April 1 at Bellevue's Meydenbauer Center. 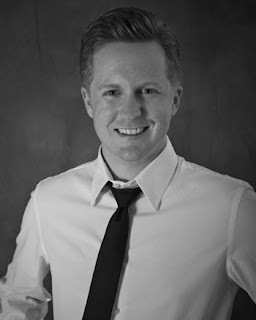 Today, we chat with tenor Eric Neuville, who alternates as Don Ottavio. Neuville returns to the YAP after performing Harlequin in last season's Ariadne auf Naxos (yes, he used to be a baritone! ), and more recently he made his mainstage debut in Lucia di Lammermoor, as Normanno. We asked Neuville about his role in Don Giovanni, as well as what other tenor roles he looks forward to singing now that he's made the switch. How does Don Ottavio feel about the other characters he meets in this opera (particularly fellow nobles Elvira and Giovanni)? Giovanni's charisma is hard to resist. It would make him a very successful politician in today's culture. That said, Ottavio sees a confidence in Giovanni that he would like to adopt. Even after the startling disclosure of Anna's sexual assault, he expresses doubt that such a dark deed could be done by such a great guy. As for Elvira, she is every guy's nightmare ex-girlfriend: crazy and relentless! In the Act 1 quartet, Ottavio's efforts to calm Elvira stem from his desire to look cool in Giovanni's eyes, as well as his experience dealing with his own crazy girlfriend. This is all short-lived, however, as his desire to marry Anna requires complete commitment to her quest for vengeance. He is a slave to her mood swings and despite his best efforts, fails to get a wedding date put on the calendar. What are some of the technical challenges in singing Don Ottavio? As is the case with nearly all Mozart tenor roles, the challenge lies not in tossing off high notes, but in sustained singing through the most precarious part of the voice: the passaggio. Ottavio's aria, "Dalla sua pace," is extremely exposed, leaving very little to hide behind as you weave your way through its long phrases. What other tenor roles do you look forward to singing? Tamino, Belmonte, Roméo, Werther, Faust, Alfredo, Rodolfo, and eventually Siegmund. 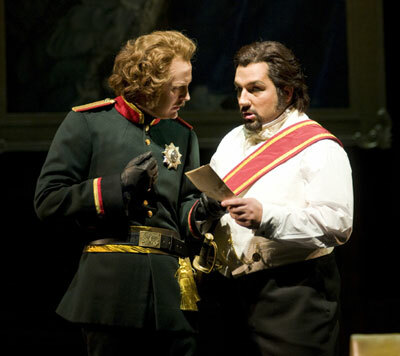 Eric Neuville (Normanno) and Ljubomir Puškarić (Enrico) in Seattle Opera's production of Lucia di Lammermoor, earlier this season. You’ve been on the Seattle Opera mainstage this year as well, as Normanno in Lucia di Lammermoor, and coming up in The Magic Flute as the First Priest. Mainstage roles are a new part of our Young Artists Program this year; can you speak to how it changes the program? The opportunity to perform mainstage roles has exponentially enhanced the Young Artists Program. Rehearsing alongside the best singers in the world helps you to quickly identify your own strengths and weaknesses. It also helps that Speight hires truly great people, who are willing to help you at a moment’s notice. I can honestly say that I wouldn't be at the level I am today without the mentorship of Seattle Opera mainstage artists. Fritz Wunderlich. He had so much humanity in his voice, and it’s a tragedy we lost him so soon. I'm constantly reminded that Mr. Wunderlich was preparing for his debut at the Metropolitan Opera in the role of Don Ottavio just before he passed away. It is truly a privilege to be able to perform it here at Seattle Opera.